evidence of deflation’s pernicious side effects—recession, weak employment, rising debt burdens—is pretty much nonexistent in Switzerland. Its economy is expected to expand this year and next, albeit slowly, in the 1% to 1.5% range. Unemployment was just 3.4% in September. Government debt is low. Compared to the US, Switzerland has been a low inflation country, but the recent turn to deflation smacks a lot of too low NGDP growth, as the charts indicate. 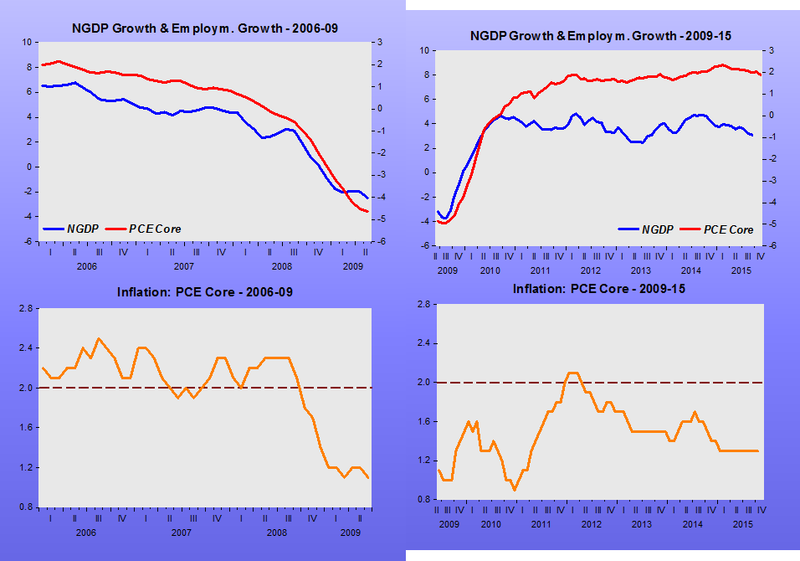 It’s highly contestable that the Fed set too-loose monetary policy in the early 2000s. Bernanke made a stern and convincing case in favour of what they did while still Fed chair. 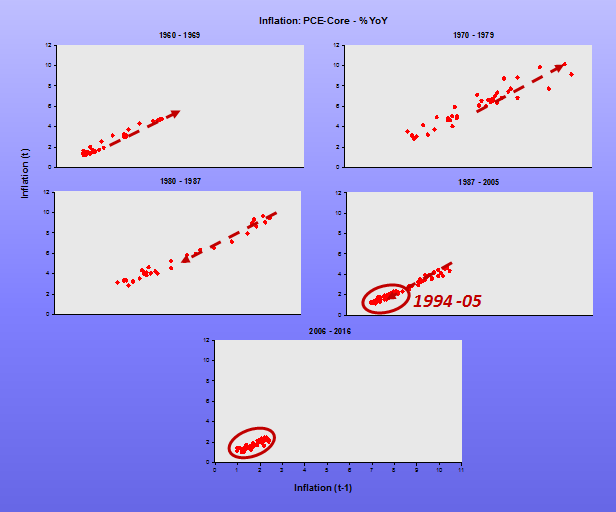 He pointed out that if you substituted inflation for forecast inflation in the Taylor Rule, for which a convincing case can be made that one should, you find that Fed policy was not too loose. 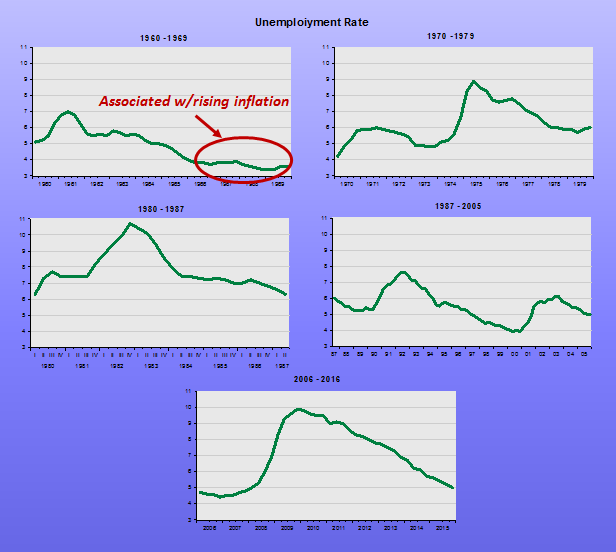 Specifically, rates were so low because the Fed were worried about deflation, and the zero bound. They had watched what they saw as slow and weak Bank of Japan monetary policy, and had seen its consequences, and were doing what they could to avoid that experience being repeated. 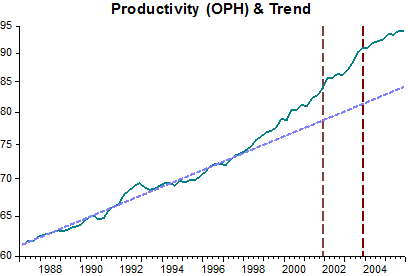 I would note that one of the largest surges in U.S. productivity growth occurred between 2002-2004. This was a well publicized development and raised trend productivity growth as seen in consensus forecasts at the time. All else equal, this development would imply a higher natural interest rate and lower inflation. Ironically, following a Taylor Rule-like reaction function can cause monetary policy to be too easy given these developments. 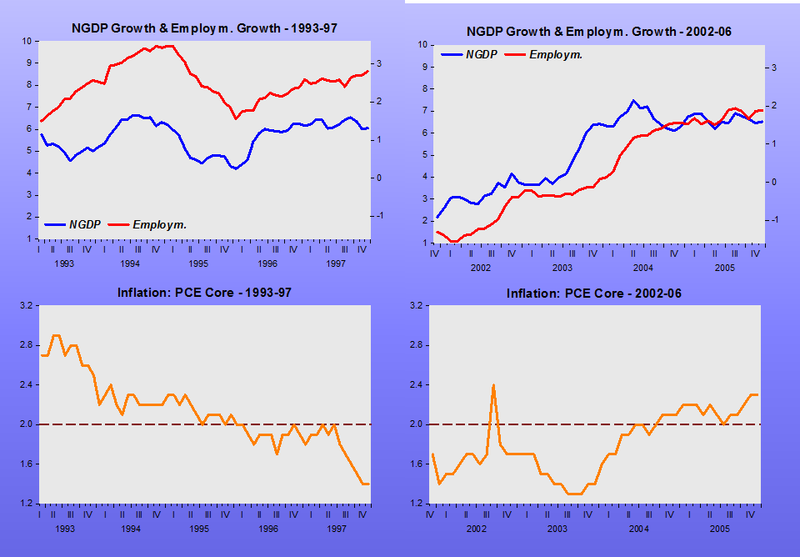 It is more pronounced when the Taylor Rule uses forecasted inflation. George Selgin, Berrak Bahadir and I build upon these papers and others by showing how the 2002-2004 productivity surge lured the Fed into complacency during the housing boom. We do not say it was the only cause for the boom or that the easing was intentional, but only that it failed to properly handle the productivity surge. And that is how it contributed to the boom. George Selgin, Berrak Bahadir, and I recently published an article that lends support to John Taylor’s view of Fed policy during this time. It received some pushback from Scott Sumner who is sympathetic to both the saving glut and secular stagnation views. At the same time, Tony Yates provided a critique of John Taylor’s argument on the financial crisis that was heartily endorsed by Paul Krugman. So the debate over the Fed policy during this period continues. 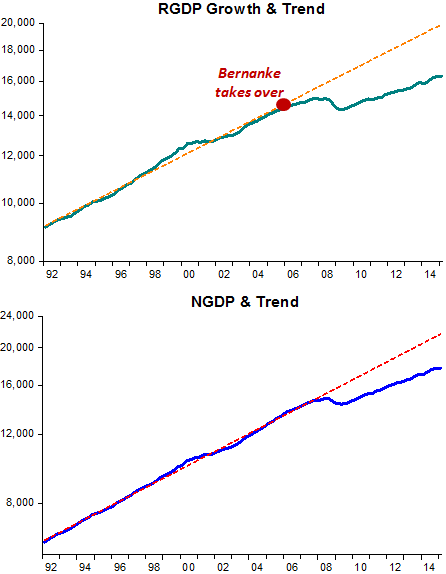 A little over 4 years ago, I did a lengthy post on this topic under the title “BERNANKE´S GSG HYPOTHESIS: A COP-OUT”. In that post I gave a coherent explanation of why house prices took off in late 1997 (long before the period of interest rate being “too low for too long”). In their paper, BBS put a lot of emphasis on the productivity surge, a fact that tends to lower inflation and increase real GDP growth, so that if the Fed reacts to the fall in inflation below target by “loosening” monetary policy, it will cause instability. I want to tell an alternative story, the conclusion of which is that monetary policy in 2002-04, particularly after mid-2003 was, to use an expression favored by Greenspan, the “appropriate monetary policy”. 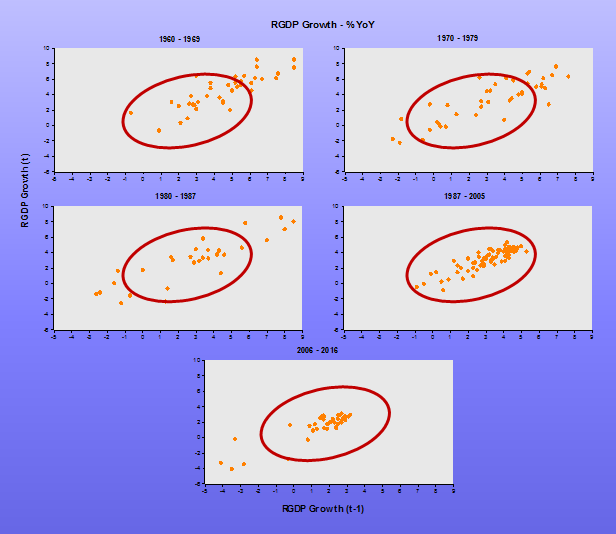 The model behind the story is the dynamic aggregate demand-aggregate supply model, and the stance of monetary policy is defined by NGDP relative to trend. 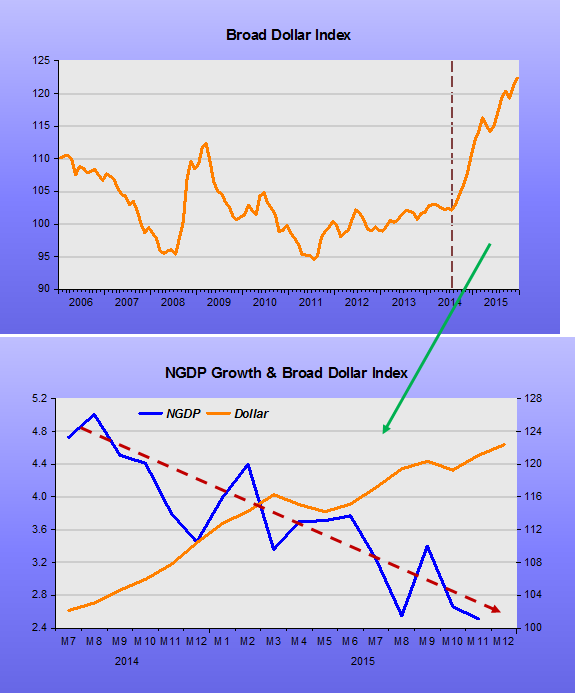 If NGDP is above trend monetary policy is “easy”, if it´s below trend, monetary policy is “tight”. As the pictures illustrate, the “problem” began in late 1997. 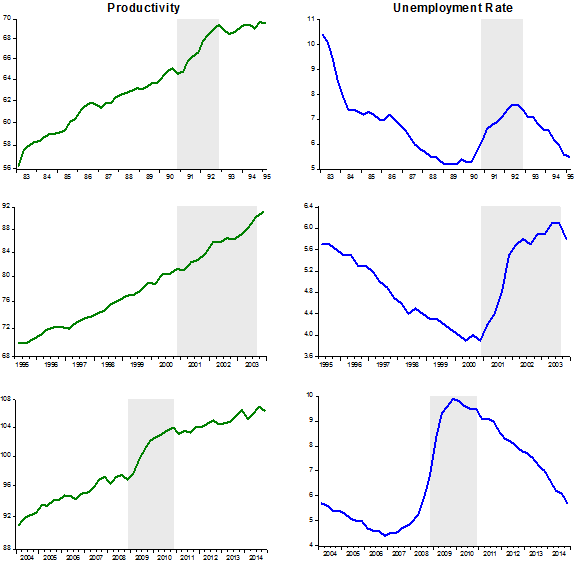 At that point, productivity started to increase above trend (a positive productivity shock). At the same time, oil prices fell, impacted by the fall in demand following the Asia crisis. From the vantage point of the US, this is also a positive supply shock. 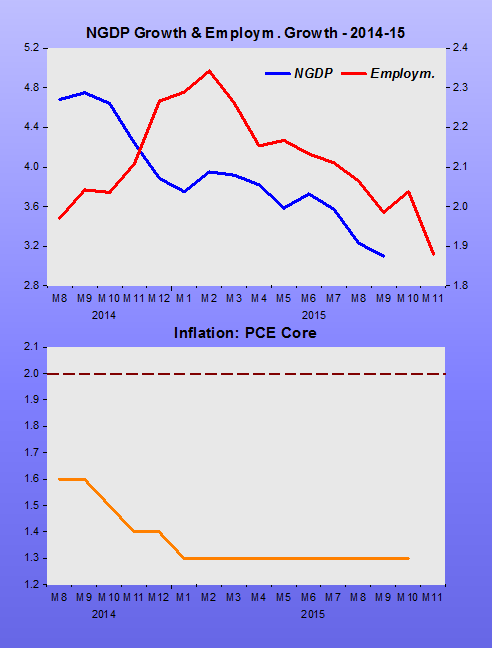 As a result, inflation fell way below “target”. 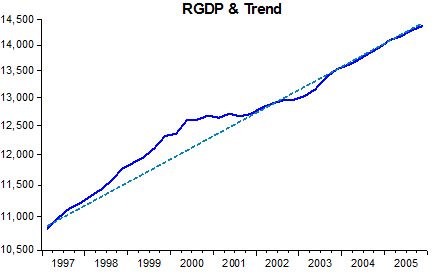 Meanwhile, monetary policy became “easy”, with NGDP rising above trend (as did RGDP). 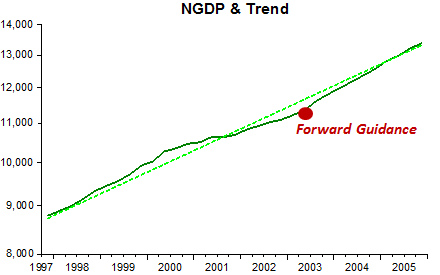 In 2001, monetary policy tightened, with NGDP falling back to trend. 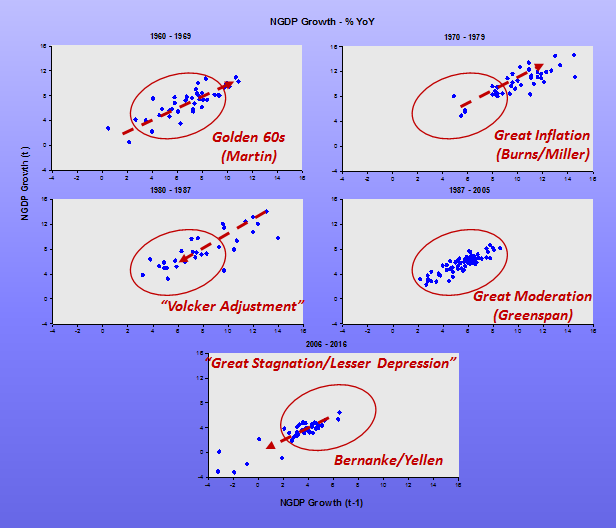 However, the tightening was excessive, with NGDP falling below trend (as does RGDP, which contradicts Beckworth´s argument that the economy was “overheating during the housing boom”). 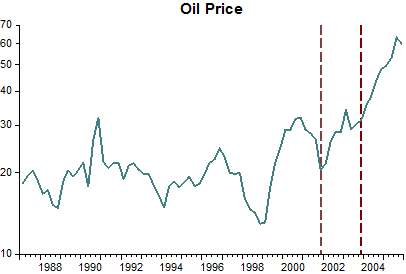 From late 2001, a positive productivity shock was accompanied by a negative oil shock. After late 2003, it appears that the negative supply shock from rising oil prices was stronger than the positive supply shock from productivity. 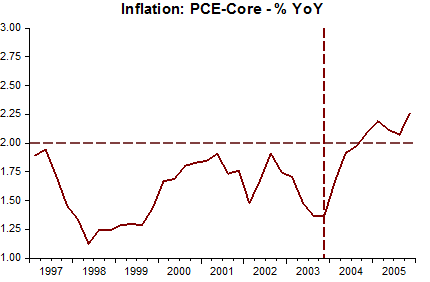 This is consistent with inflation picking up. At that point it appears that the easing of monetary policy – forward guidance – guiding NGDP back to trend coupled with a slight leftward shift in the aggregate supply curve resulted in inflation moving back closer to target. 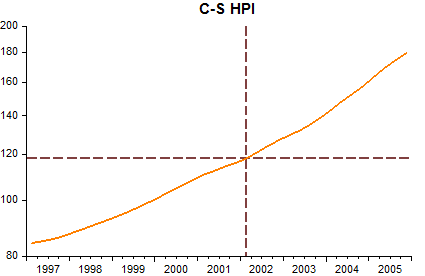 As the house price chart shows, throughout 1997 – 2005, house prices were on the rise. That story is quite separate from the monetary policy story. From late 1997 to late 2004, the Fed lost and regained nominal stability. It was left to Bernanke´s Fed to lose it “majestically”!